A fun way to enjoy this magical season is with a casual yet quaint outdoor picnic, whether it’s at the pumpkin patch after choosing your soon-to-be jack-o’-lanterns, nestled in your favorite wooded spot or just sprawled out in your own backyard. 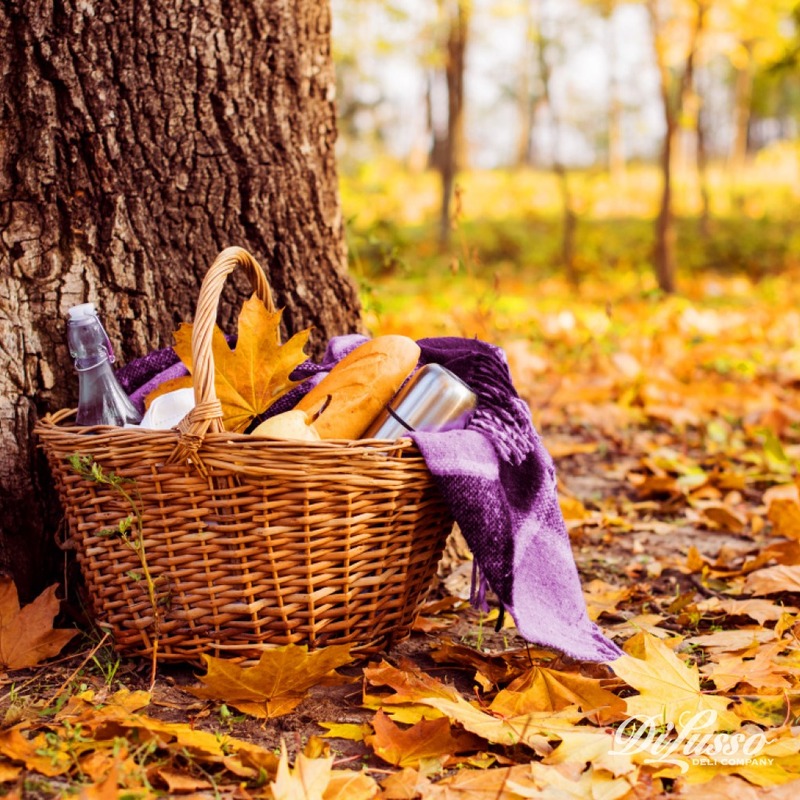 To make your picnic the most delightful combination of delicious and cozy, we’ve put together a packing list that’ll help you prep for your al fresco fall meal. Blankets/Quilts – for lying on the ground or on picnic tables. Make sure to bring extras that you can snuggle up in and get comfy. Plaid and cable knit patterns fit right in with the fall atmosphere. Baskets – to hold all of your eating ware and food. Traditional wicker baskets will give your picnic a nostalgic touch. Wooden Crates – these can double as tables and chairs if you plan to picnic on the ground. They’re also great for carrying things like blankets, playing cards and dishes. Wood Cutting Boards – even if you don’t plan to cut anything, these are great for spreading out your food. If you’re picnicking on the ground, it’ll also give you a flatter surface for placing dishes. Dishes – we’ve found that aluminum pie pans are great for holding all kinds of food, even soup! They’re sturdy and have a wide lip that helps keep food from spilling over or falling off (especially useful if you’re picnicking with kids). Hard plastic plates are also a great option. Silverware – to upgrade from plastic, look for mismatched sets of silverware from thrift stores. They’ll look charming in the fall set-up you’ve prepared. Plus, they can be used again for picnics in the spring and summer. Napkins – cloth napkins are great for picnics because they’re heavier than paper napkins and less likely to get carried away by a light breeze. Jewel-toned hues will mesh well with the autumnal atmosphere. 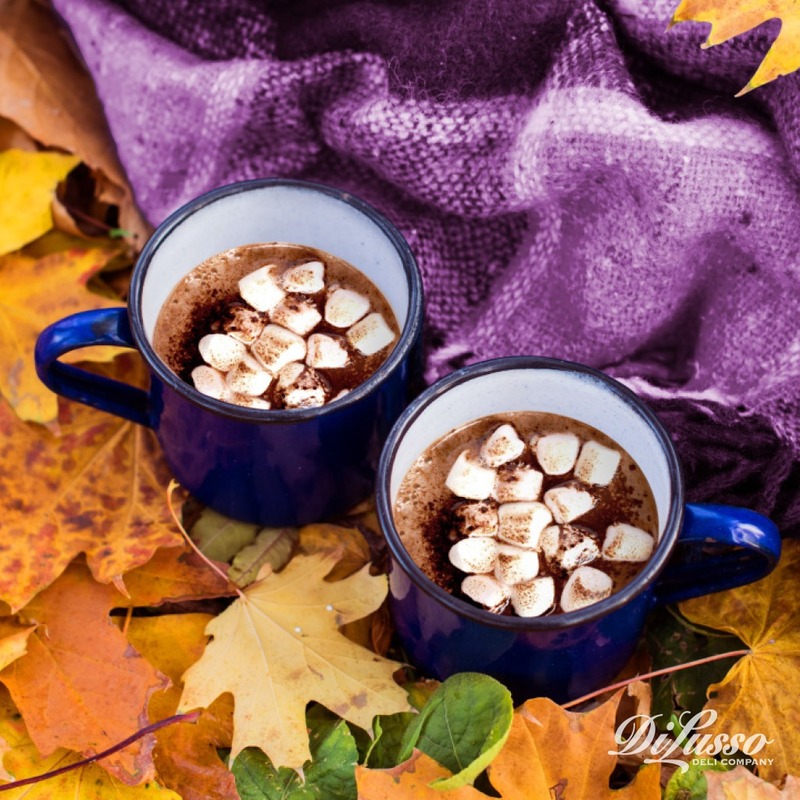 Cups – aluminum camp cups and mugs fit right in with the nostalgic fall theme. They’re also durable and heavier than plastic cups so they’re less likely to fall over when they get close to empty. Small Plastic Tub – for your dirty dishes. When you get home, just toss everything in the dishwasher and you’re good to go! Snacks – for noshing on while you’re playing cards or tossing around the football. Our tartelettes are easy to prep ahead and are filled with bold, distinct flavors. 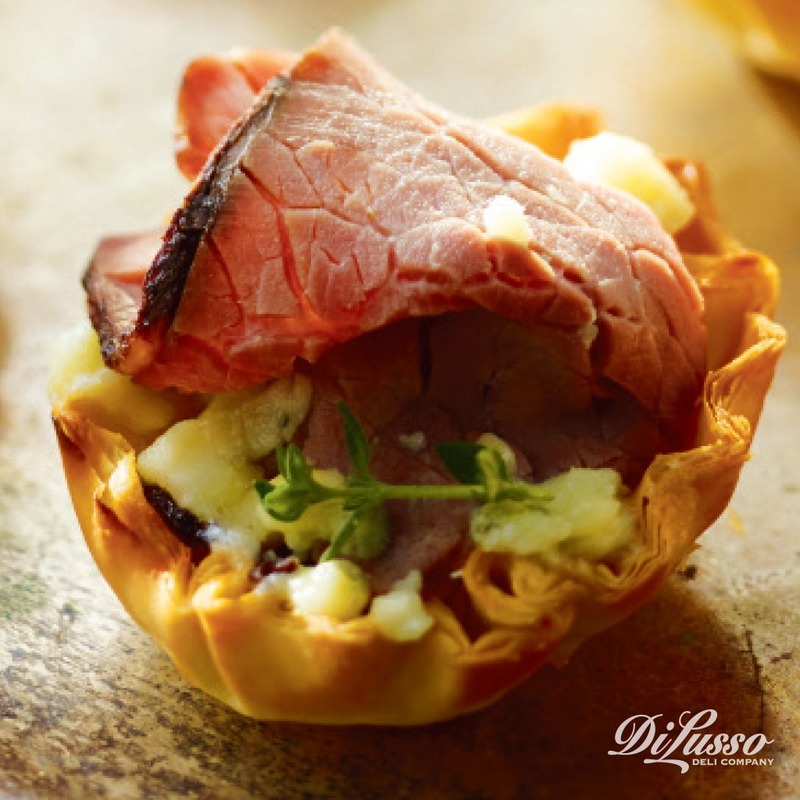 Our Beef, Blue Cheese & Thyme Tartelettes are savory with a seasoned finish while our Ham, Swiss & Apricot Tartelettes are sweet and just a little bit smoky. Place them in a muffin tin and cover with aluminum foil for hassle-free transporting. 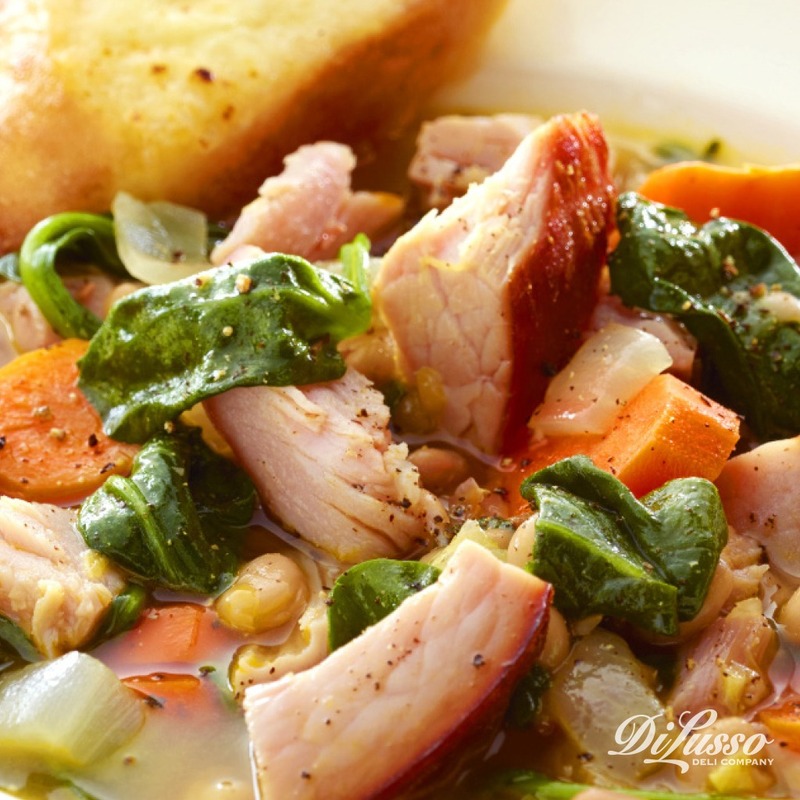 Soup – warm bellies (and hearts) with our Hearty Ham, Bean & Spinach Soup that’s simmered with fresh thyme, garlic and onions. Ladle into thermoses to keep warm as you travel to your destination. If you’re bringing thermoses to hold warm drinks too, label each to make identifying easier. Because the fewer times you open the thermoses, the warmer their contents will stay. Sandwiches – this quintessential picnic food is the perfect complement to a steaming bowl of soup. Something like the Provencal that blends sweet and savory makes for a nice contrast to soup. 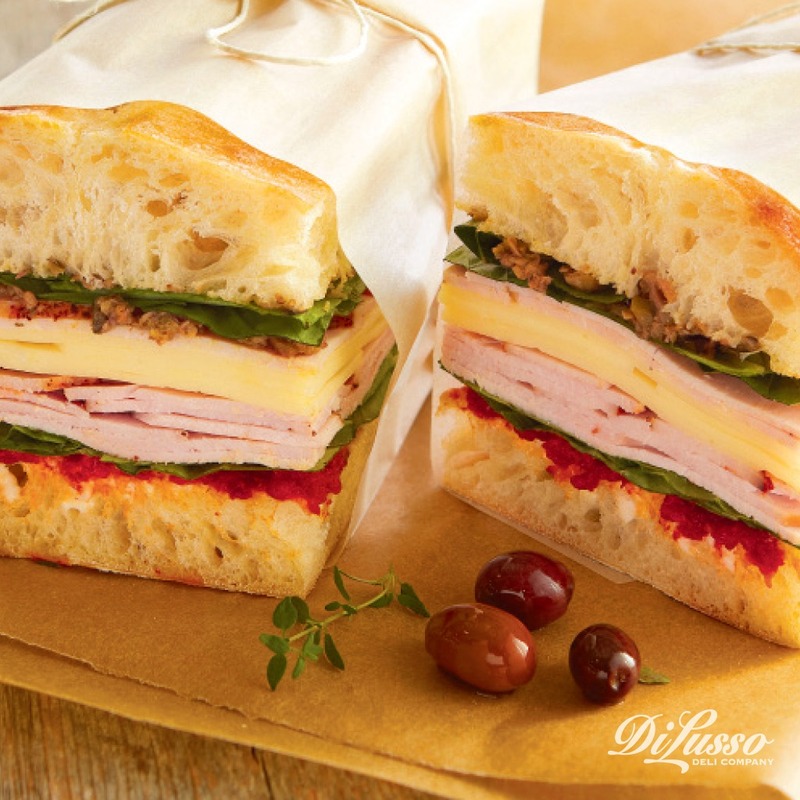 The Provencal layers fresh basil leaves, olive tapende and a sweet pepper spread with sun-dried tomato turkey and provolone on a sourdough baguette. To pack, wrap in parchment paper and secure with twine. Drinks – you really can’t go wrong here. 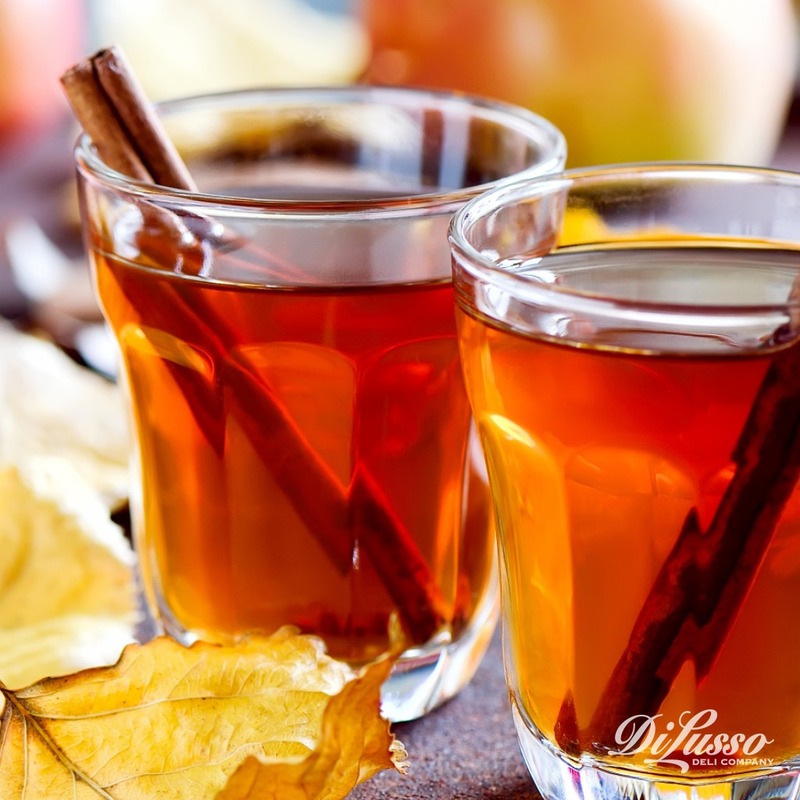 Kid-friendly drinks like hot apple cider will keep the whole family warm, inside and out. Bring along a bundle of cinnamon to add a touch more flavor while you stir. The adults might appreciate a splash of bourbon or rum. For some libation inspiration, click here. Dessert – classics like hand pies, turnovers and cookies are great because they’re easy to transport and eat. No silverware or dishes needed! Try baking them with fall flavors like pumpkin, caramel, pecan or cherry.